Every now and again I receive an email from somebody who hasn’t used Lightroom before and would like to know the benefits of using it. So I thought it would be helpful to put together a list of reasons for trying Lightroom. Let’s see what they are! 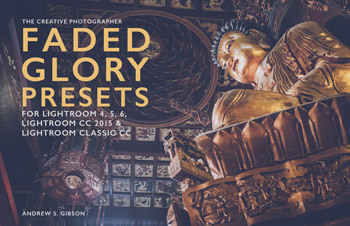 And while you’re here, don’t forget to check out my free Introducing Lightroom email course. How do you view the photos saved on your hard drive? One option is use the operating system to browse photos. But this is slow, especially with Raw files. Most photographers use an image browsing application such as iPhoto, Adobe Bridge or Photo Mechanic (PC owners seem to have more options than Mac users for this type of software). These programs let you compare photos as well as view them. The benefit of Lightroom is that it takes photo viewing up the next level. The science behind it is relatively simple – Lightroom is built around a database (called the Catalog) which contains information about all your photos, including the location they are saved on your hard drives. It builds previews of your photos so that you can browse them quickly and easily. Lightroom also has advanced options for letting you compare photos and group them into permanently saved selections (these are called Collections). It’s organization tools are better than just about anybody else’s. The only serious rival to Lightroom at the moment when it comes to image browsing and organization is Capture One Pro from Phase One. It does all this in the Library module. This screenshot shows you what it looks like. 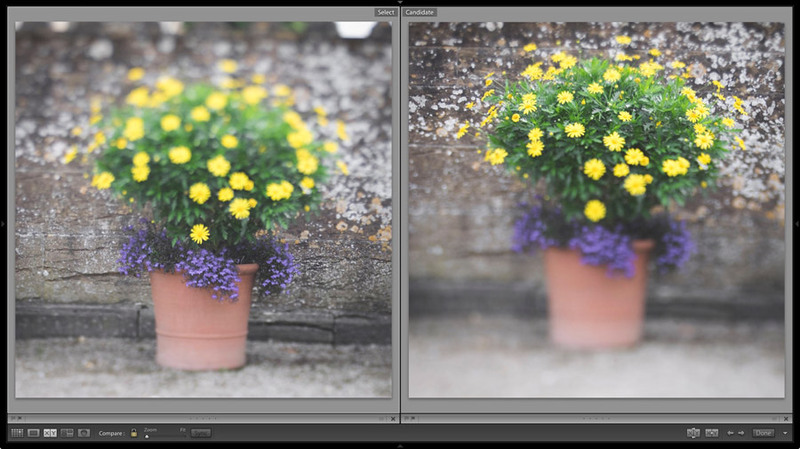 It’s also easy to compare near identical photos in Lightroom. Another benefit of building Lightroom around a database is that it contains all the important metadata from your photos. 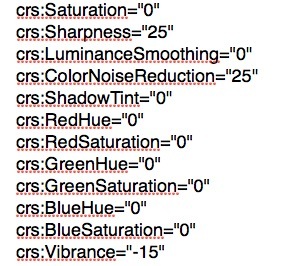 Lightroom uses this information to search your photos. That makes it easy for you to search your photos using criteria like camera settings. For instance, would you like to see all photos taken with a specific lens in the year 2017? That’s easy in Lightroom. Or how about searching images by location? That’s another easy task if your camera embeds GPS data into your photos. You can also add metadata in Lightroom, such as star ratings, color labels and keywords, and use this additional metadata for searching photos. This screenshot shows the keywords that I’ve added to a photo. Lightroom doesn’t do everything, but it’s a very powerful image editing application that does most of the things that you probably want from an image editing application. This includes tasks like merging to HDR, creating panoramas, retouching portraits and converting to black and white. Unlike programs like Photoshop, Lightroom doesn’t make any changes to your photo files. Instead, it takes a different and rather clever approach. 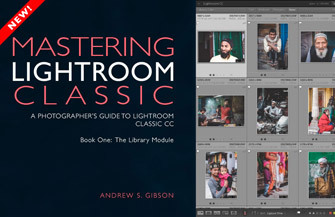 Lightroom keeps a record of any developing work you have done in the Catalog, saved as lines of text which take up very little hard drive space. 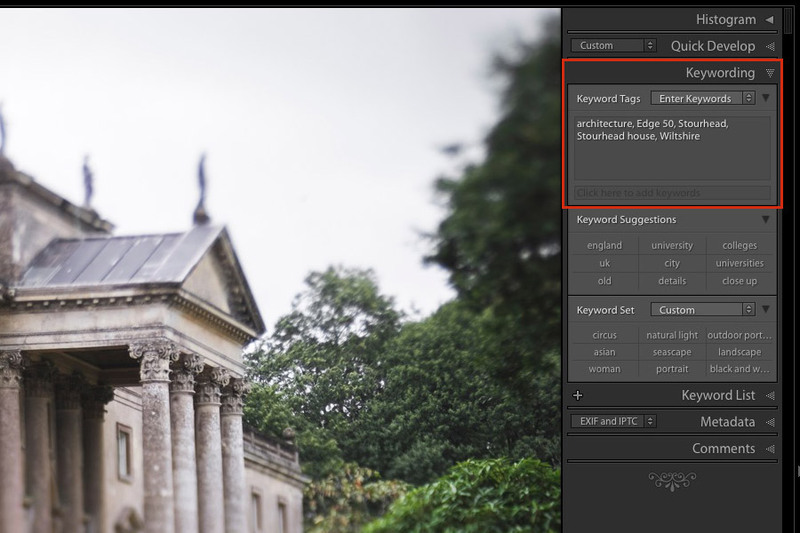 As you can probably see, these text commands indicate the settings of parameters like saturation, sharpness and vibrance – all sliders used in Lightroom to develop photos. This method of working has two benefits. Your original photo files are never overwritten. This is especially useful for JPEG and TIFF files and is known as a non-destructive workflow. It saves a lot of hard drive space. For example, if you convert a 21 megapixel Raw file to a 16 bit TIFF file for developing in a conventional image editing application then you end up with a 120MB file. Lightroom, on the other hand, only requires a few kilobytes of hard drive space to save its text commands. The space savings are exponential for large photo collections and helps keep the size manageable. Another benefit of Lightroom is that it works well with other image editing applications and plugins. 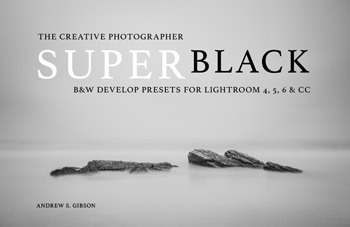 For example, you might like to use a plugin like Silver Efex Pro for converting photos to black and white, or Luminar for adding an orton effect to your landscape photos. In either case, you can use Lightroom to organize and partially develop your photos, then send them to the plugin to finish them off. 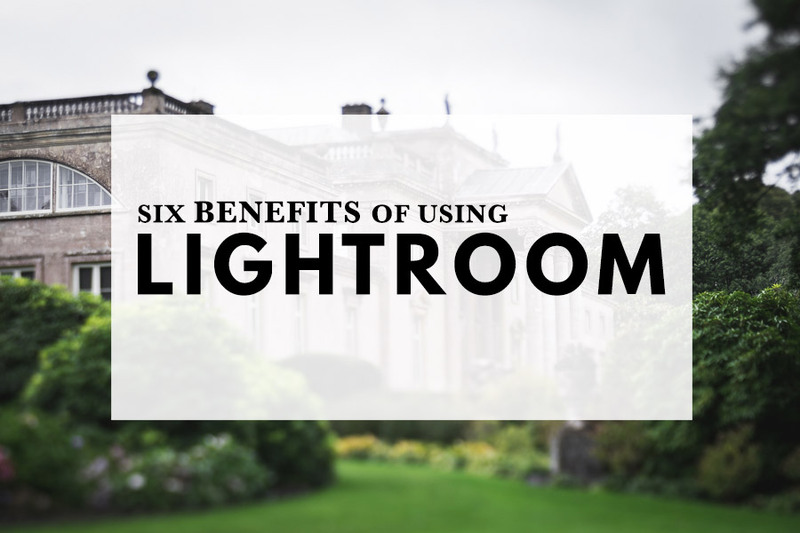 In other words, Lightroom is a complete workflow application, not just an image editing application. As long as you have built the appropriate previews you don’t need the hard drive where you photos are saved to be connected to your computer to use Lightroom. 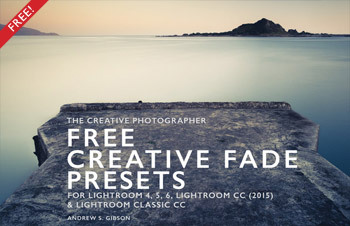 This is really handy if you have Lightroom installed on a laptop. It means you can take it out with you but leave the hard drive containing your photos at home. This brings great peace of mind as you don’t have to worry about losing your hard drive. 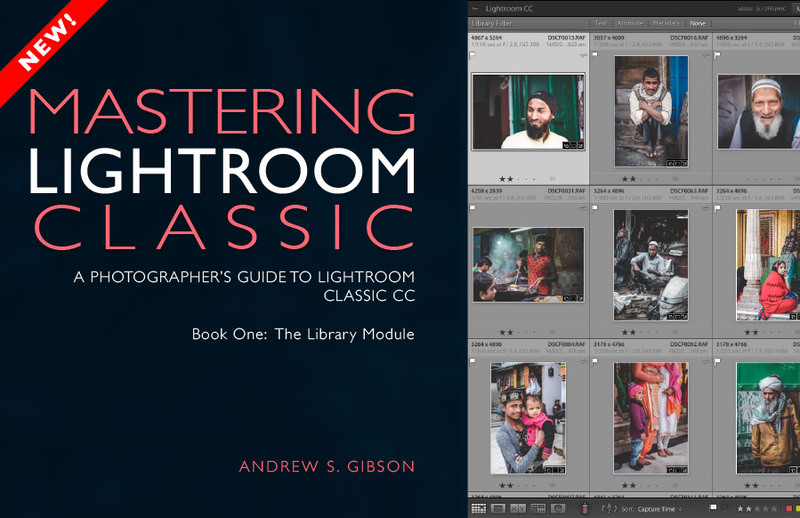 The popularity of Lightroom ensures you’ll never be short of resources to help you learn how to use it. There are lots of websites, forums, books, ebooks, video tutorials and YouTube channels dedicated to helping you. 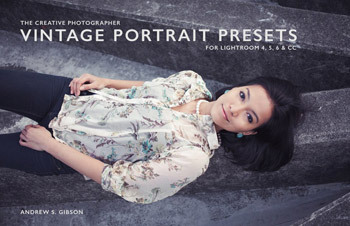 Another result of Lightroom’s popularity is that you can buy Develop Presets to creatively develop your photos. If you’d like to give Lightroom a try then the best thing to do is download a 30 day trial of Lightroom from the Adobe website. This should give you enough time to evaluate it and see if you like using it. 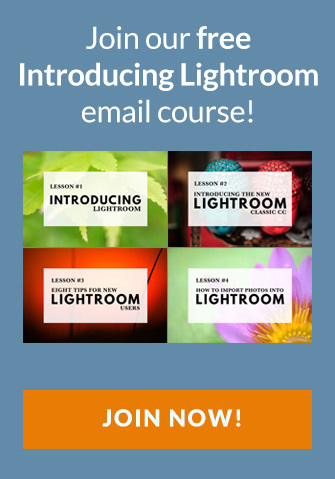 You’ll also find my free Introducing Lightroom email course very interesting and useful as it teaches you how to use Lightroom correctly from the start. I have been debating using Lightroom but am daunted by how to go about making the change. I purchased an iMac in 2013 and then Aperture, hoping to take my photography hobby a step further than what was available in Apple’s Photo program. In the next year or so, Apple stopped supporting Aperture, which I continued to use on a limited basis. Now, 4 years later, I want to do more with my photos. Most of my photos are in an iMac Photo program file. Some are in an Aperture file. Do I dump Aperture? Where do I save all of my photos to be able to transfer over to Lightroom? I would greatly appreciate any suggestions that you might have. Thank you for your time. Hi Liz, you can keep using Aperture as long as you like, or at least until it stops working, as it probably will one day as OS X evolves. One thing you need to be aware of is that Lightroom doesn’t recognize any adjustments made in Aperture. If you want to keep those changes you need to convert the Raw file to a TIFF or JPEG then import that file into Lightroom. 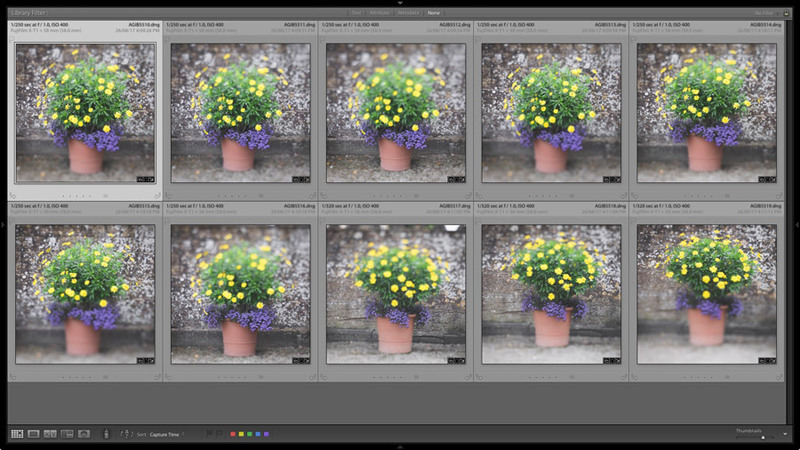 That said, you can import your Aperture and Photos libraries into Lightroom fairly painlessly. These articles (published on other websites) are helpful as they go through all the aspects you need to consider. Hope that helps, let us know if you have any more questions about it.